Celebrate the festive season with a cosy staycation at these hotels in the Philippines. They sure know how to pamper you this time of the year! What’s the holiday season without a nice, cosy and even luxurious staycation with your loved ones? That’s right. The months of December and January are not just an excellent time to stroll around the mall or go on that glitzy holiday leave. No one understands this better than these hotels in the Philippines which prove that just like Filipinos, they too are always ready for a grand festivity! While some travellers head to South Korea or Japan for a snowy winter, others escape to the ultimate tropical destination of Boracay in the Philippines. In the Newcoast area of the newly rehabilitated island sits Savoy Hotel Boracay. This 559-room property takes pride in its fashionable facilities like the Savoy Cafe, Vienne Lobby Lounge and Chambery Pool Bar. All rooms come with their own balcony, letting you take in the beautiful island landscapes while still enjoying your chic in-room amenities. If you’re looking for the perfect combination of sun, sand and sea, this hotel is the place to be! Book their Sparkle and Shine. It’s Christmas Time! special offer for only ₱8,052 per night! Learn more about Savoy Hotel Boracay on TripZillaSTAYS. What better way to inspire your wanderlust during the holidays than have the Philippines’ most valuable airport as your bedroom view? But that’s not all what Savoy Hotel Manila has to give. Business travellers who find themselves in TripZilla Excellence Awards’ Best New Hotel for 2018 can also take advantage of a sleek in-room working desk, fully equipped function rooms and a facility called the Connect Lounge. Just think of this dual-purpose space as an extension of your office or your home. It's where you can stay productive even while celebrating the holidays! Don’t pass the chance to join Santa’s Sleepover at the trendy Savoy Hotel Manila. Pay only ₱7,000 and get an overnight accommodation for two at their Essential Room. This comes with with a ₱500 F&B gift certificate, complimentary tea at The Squares and your choice of Felix Solis Gran Tierra or Santa Ana Classic! Learn more about Savoy Hotel Manila on TripZillaSTAYS. So what if you can’t travel abroad for your Christmas or New Year celebrations? 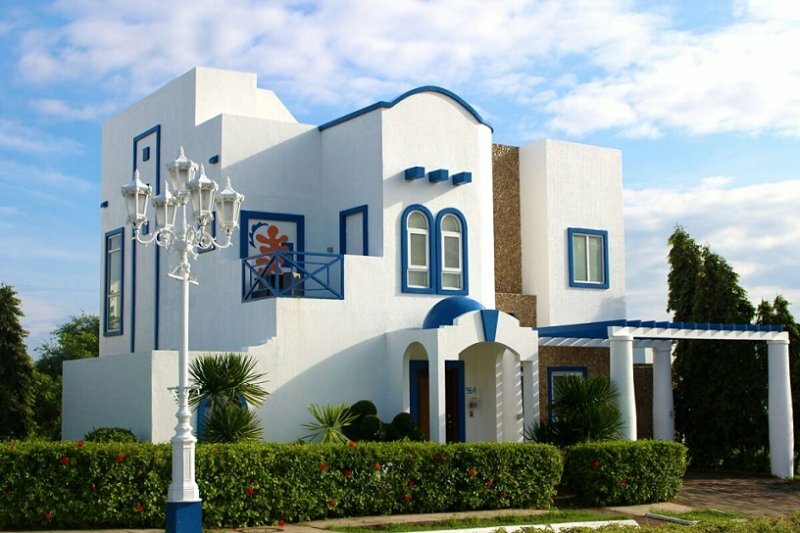 La Union’s Thunderbird Resorts & Casinos – Poro Point not only transports you all the way to the lovely Santorini Island of Greece, but also provides all those coveted resort amenities that will make you skip the holiday events and attractions back in the city. From its Deluxe Rooms offering a view of the West Philippine Sea and fully furnished 3-Bedroom Villas, to its upscale restaurants, golf club and its own casino — Thunderbird Resorts & Casinos – Poro Point will surpass whatever expectation you have for the upcoming holiday break. Mark your calendars! This enormous resort by the sea invites you to join its all-inclusive holiday packages. Start with a Christmas Mass and Yuletide Feast on 24 December 2018 and end with a New Year’s Day Buffet on 1 January 2019. You may even win one of Santa’s 10 gifts while finishing a hearty Christmas meal! 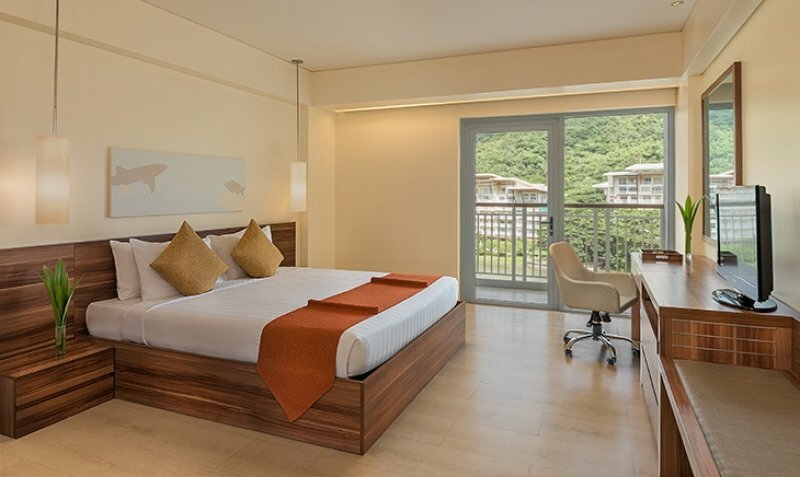 Learn more about Thunderbird Resorts & Casinos – Poro Point on TripZillaSTAYS. There’s something therapeutic about leaving the big cities and going for a quieter, underrated destination this season. Representing Butuan City’s more laid-back atmosphere and wealth of natural attractions, Butuan Grand Palace Hotel is the perfect choice for an unconventional (not to mention, smoke-free) Christmas and New Year holiday. Its accommodations range from a Single Room to a glamorous Presidential Room that only costs ₱6,500 for an overnight stay! Take it up a notch by bringing your loved ones along and reserve the hotel’s soundproof events venue too! What’s even more exciting is that you can get 20% OFF on select rooms in the hotel if you stay between 22 December 2018 to 14 January 2019! If you happen to be there during a weekend, join the hotel’s weekly dinner buffet for only ₱390 per person! Learn more about Butuan Grand Palace Hotel on TripZillaSTAYS. Palawan may not necessarily be the usual Christmas or New Year destination for many, but that doesn’t mean the island has nothing to offer for all you festive holidaymakers. At The Funny Lion, Christmas trees come in the form of various other plantations surrounding Coron’s safari-themed boutique resort. Every day, you’ll receive your own set of Christmas gifts in your room. These are no other than the hotel’s signature refreshments and snacks. They're a great way to spoil yourself on your rustic-chic staycation! By sunset, how about heading out of your room and ordering a glass of The Funny Lion’s signature drinks during their Happy Hour? Follow it up with a Saturday Grill Buffet for an affordable rate of ₱650! Learn more about The Funny Lion on TripZillaSTAYS. Within the famed Pico de Loro Cove in Batangas lies Pico Sands Hotel. It's an exclusive 154-room hotel that has been a staple destination among Filipino families looking for a quick getaway from Manila. Whether it’s having a relaxing massage at the Rain Spa or ticking off every leisure activity at the Pico de Loro Beach & Country Club, this coastal beauty has all the tools you need for a fun-filled tropical staycation to celebrate two of the biggest holidays in the Philippines. Let Pico de Loro Cove be your Home for Christmas! From 15 to 31 December 2018, this coastal wonder in Batangas is giving you all the reasons to smile with its family-friendly offerings including tasty souvenirs, holiday feasts, carolling sessions and a New Year countdown party at the Reef Bar! 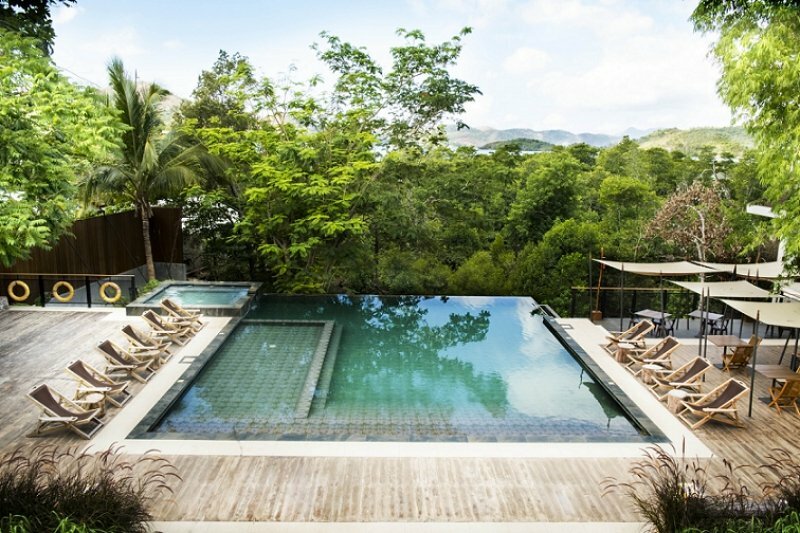 Learn more about Pico Sands Hotel on TripZillaSTAYS. Spending the holidays in the Philippines should always come with experiencing true Filipino hospitality, even while staying indoors. Another hassle-free drive from the country’s capital, Best Western Plus Hotel Subic marries this signature quality with world-class amenities necessary for a memorable year-ender and year-starter celebration. 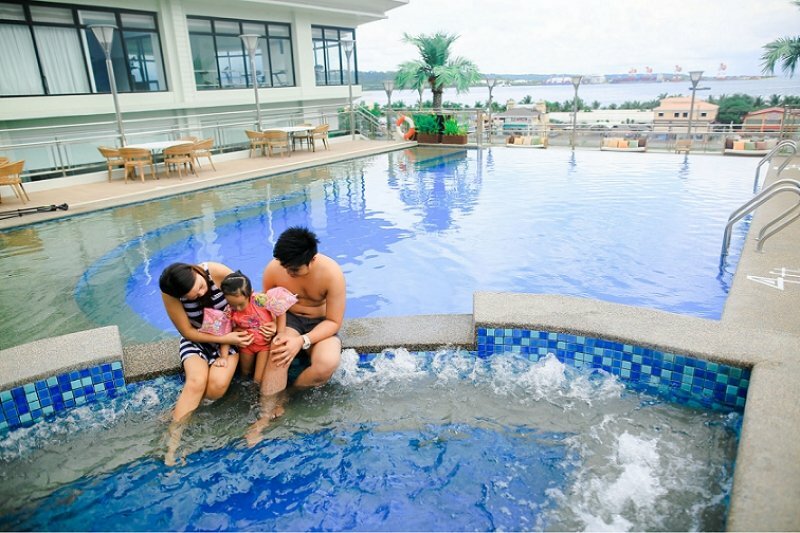 One of them is the Sky Oasis Pool, a rooftop pool overlooking Subic Bay. There's also the Spencer’s Gastro Pub, where you can feast and enjoy live entertainment at the same time. Feeling too cosy in your room? Try the restaurant’s room service for total convenience! Even staycations deserve to level up for a bit of extravagance during the Christmas season! Invite your loved ones (or even your fellow hotel guests) to a grand Christmas Party at Best Western Plus Hotel Subic. Book their Christmas Party Package now! Learn more about Best Western Plus Hotel Subic on TripZillaSTAYS. One of the cardinal rules of staycations is that your place has to have that ‘feel’ of a true home. This is something that Sunny Bay Suites in Manila has in abundance. 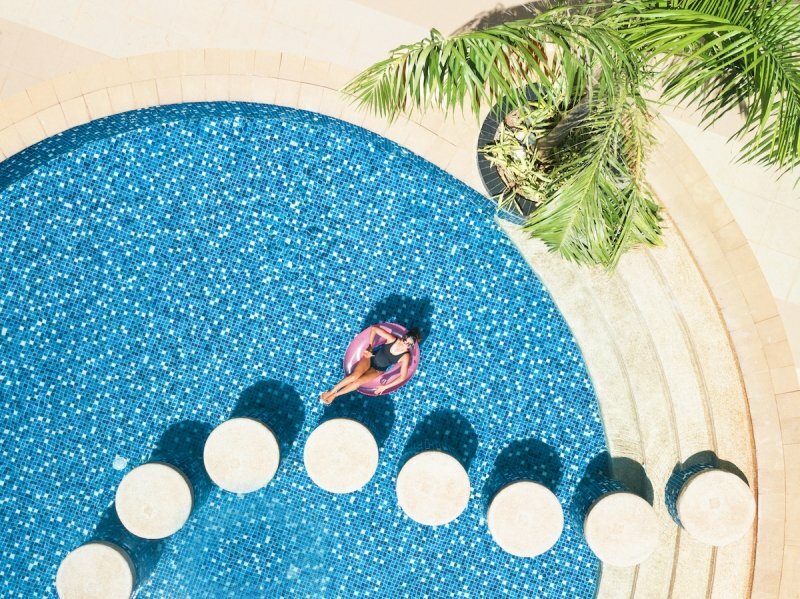 Even with the city’s entertainment, culture and business districts literally a few minutes away, the property provides tempting alternatives that will make you step back into your room and embrace a laid-back holiday fun. 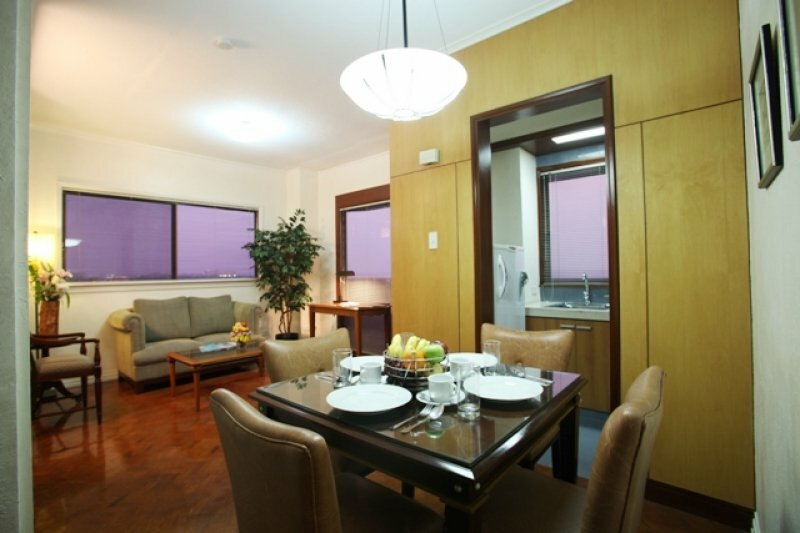 For that perfect view of the Manila Bay, stay in one of the Corner Suites. If you’re bringing your entire family, don’t even think twice about staying in one of the two Penthouse Suites! Learn more about Sunny Bay Suites on TripZillaSTAYS. Staycations during the holiday season are like gold dust, but they’re a great way to spice up your one to two weeks of vacation on your own or with loved ones. Gladly, these hotels in the Philippines are all set to give you a hand! Holiday or not, you’ll find plenty of accommodation options in the Philippines. 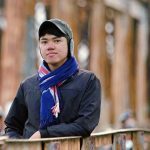 Visit TripZillaSTAYS for ideas!